Find out why J.J. Abrams loves lens flares although they're "ridiculous." 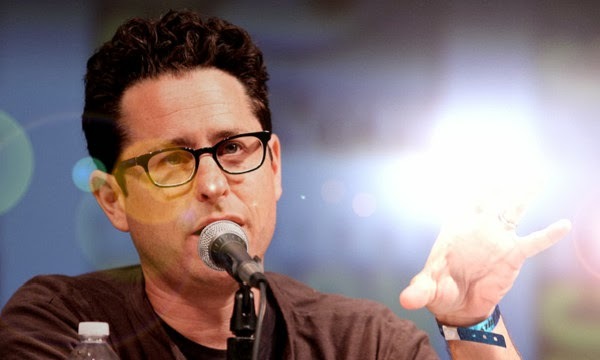 J.J. Abrams loves lens flares. If they were a woman he'd marry them. The Internet is full of funny J.J. Abrams lens flare jokes and memes about them. Funny or Die even made a joke trailer called "Lens Flare: the Movie". I think it's a nice look and have never complained about them. But I started wondering why he loves them so much. You get a bright light and it makes a lens flare. On some types of lenses, light reflects off parts of the lens and back into the camera. It's often caused by bright light sources and causes either visible artifacts (starbursts or halos of light) or a haze across the image. The term "Lens Flare" is used as a catch-all term for it. Camera manufacturers are busting their humps trying to get rid of lens flares, but many artists like them because it makes the image "feel more real." J.J. Abrams isn't alone in loving lens flares. Photoshop, for example, has over 450 different lens flare plug-ins. But it's more noticeable in his films. Why Does J.J. Abrams Love Them? So what's the deal with all those lens flares? In 2009, io9 asked J.J. Abrams why there are so many lens flares in Star Trek and he said he "wanted a visual system that felt unique" and loved the idea that "the future was so bright it couldn't be contained in the frame." They did it all in-camera, but went so far as to use big honking flashlights to make the flares across the scene. Even he said it was "ridiculous" and a "pain in the a**", but they were "a fun additional touch" that made the future feel bright. When talking to Peter Sciretta at /Film about Super 8, J.J. Abrams explained the lens flares that kept popping up in his work. He described lens flares as "a cool beautiful image, the light through the glass. There are times that I feel like it sort of adds another kind of smart element, and it’s hard to define." So, it's "a visual taste" that Abrams likes. He admitted "there are a couple shots in Super 8 where I just think I should definitely pull back here or there, but I can’t help myself sometimes." Abram's Super 8 cinematographer, Paul Kavanagh, explained why they used so many lens flares in Super 8, "In anamorphic lenses, you get a lot of barrel distortion – the lens creates a bow effect on the actual image and you get the beautiful lens flares and everything. And especially on a movie that has its roots back in the 70s – that’s something that Spielberg did and J.J. certainly wanted to pay homage to that look of anamorphic lens." So, if you hate lens flares, blame Steven Spielberg. Did Steven Spielberg Overuse Lens Flares? Spielberg loves lens flares. You can go all the way back to his first film Duel with a lens flare in the final shot. Some of his most famous films have a lens flare in key scenes. There were lens flares all over Close Encounters of the Third Kind when the alien ship landed. E.T. had a bunch of lens flares too. Steven Spielberg intentionally created lens flares in Raiders of the Lost Ark to make you feel the scorching sun of the Egyptian desert. Abrams loves Steven Spielberg and feels lens flares are a way to capture the magic of his films in his movies. Will J.J. Abrams Ever Stop Using Lens Flares? In an interview with Crave Online, J.J. Abrams admits he's using too many lens flares in Star Trek Into Darkness. "I know I get a lot of grief for that," Abrams said. "But I'll tell you, there are times when I'm working on a shot, I think, 'Oh this would be really cool ... with a lens flare.' But I know it's too much, and I apologize. I'm so aware of it now. I was showing my wife an early cut of 'Star Trek Into Darkness' and there was this one scene where she was literally like, 'I just can't see what's going on. I don't understand what that is.' I was like, 'Yeah, I went too nuts on this.'" J.J. Abrams will cut back on lens flares, but never stop using them. Do you think J.J. Abrams uses too many lens flares? Will he ever stop using them? I have no problem with lens flares if they are used correctly - which Abrams does. I guess I haven't watched all those movies close enough to pay attention to the lens flares. Abrams not having lens flares would be like Michael Bay not using explosions; people would be all WTF? i enjoyed the flares... it gave me a sense of being part of the action. I'm fine with it. I think it is pretty cool he can see when he uses too much. It is kinda like shaky cam getting the viewer into the action. It makes me feel more in the moment. They don't bother me. I just want more Star Trek w/ or w/o lens flares. It adds to the reality of it, so I never had a problem with the flares. Asking him to eliminate them would be like asking John Woo to eliminate the doves or Spike Lee to do away with the floating person moments. I've never heard of the floating person moment but I love Woos doves Tony. Good example. I didn't even really notice them in Super 8 Pat, but I can't say I would have missed them. But how would you know it's Abrams? I heard Fringe is full of them Pk. Take a count for us! There's another Abrams trope David! Raimi too. Agreed! It made the bridge look huge Jeremy. Star Trek was soooo full of flares that I was watching them more than the actual film. I want a movie to absorb me; to make me a part of its universe. A lens flare, real or artificially inserted, is a reminder that this is only a film you are watching through a camera,and as such, to me, is a big "KEEP OUT" sign posted at the entry of the movie world. Yeah Randy I like them myself, but I guess others don’t like them.